David Lekach is the Chief Executive Officer of Dream Products LLC. As the architect of the company’s growth strategy, David is responsible for managing all aspects of the business, including, sales, marketing, manufacturing and finance. Dream Products manufactures and markets Dream Water, natural, zero calorie, 2.5oz liquid sleep enhancer. 2. There have to be so many people with sleep issues that a product like this, the “anti-Red Bull,” has to exist. When I could not find anything like it and after sampling it to basically all of my friends and family with tremendous feedback, I knew this was something I needed to pursue. Tell us about Dream Water. What inspired the idea and what is your vision for the company? 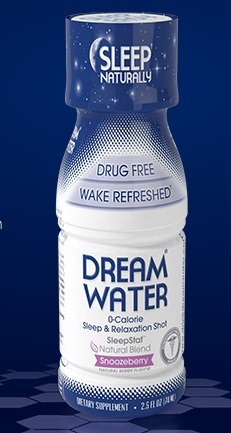 Dream Water is a 0-calorie, natural, and lightly flavored sleep and relaxation shot. With roughly 1 in 3 Americans having some sort of sleep issue, we felt that there was a big opportunity in the sleep aid space. Our mission is to provide a huge segment of our population with a natural, drug free alternative that can help the tens of millions of Americans get some much needed rest and relaxation so that they can wake up refreshed and ready to tackle that day’s opportunities and challenges. What strategic partnerships have you implemented that have attributed to Dream Water's success? There are so many viable outlets for us to retail Dream Water. However, since our launch with Duane Reade in NYC in mid-December, 2009, we have been hyper focused on the food, drug, mass retail channels, along with airport retailers like Hudson News and Paradise Shops. Working on maximizing our merchandising opportunities at retailers like CVS, Walgreens, Kroger, Safeway, Target and Walmart, among many others, has been a key to our success to date. There is a big trend towards natural and/or “good for you” type products. Also, the incidents of sleep issues are on the rise. Dream Water’s proposition fits perfectly into both trends. Try to always take the highroad. In doing so, get those around you to come up to your level, don’t stoop to theirs. Work Hard. Play Hard. Sleep Easy. Your greatest success as founder of Dream Water? Most difficult moment-how did you overcome and what did you learn? This is a loaded question. In terms of success, I wouldn’t point towards one seminal moment or event. Rather, I find the greatest satisfaction in hearing from our consumers about the tangible benefits and impact Dream Water is having on their lives. Conversely, helping others get some sleep has proven to be an exhausting proposition. There are a lot of days that present sometimes seemingly insurmountable challenges. However, if you resolve to learn from these challenges and match that with an incredibly strong work ethic, anything is possible. Your journey probably won’t be a straight-line of success upon success. Work through the challenges of your business with an open and creative mind. That, and a strong work ethic, should help you figure out the right next steps. I’ve been to a lot of places, so that’s a tough one. I’ve never been to China or Australia, so while I’m not addressing my favorite travel destination, those two countries are on my travel bucket list. Of course, I’d take my Dream Water to help get some sleep on the plane and adjust to that local time zone. I’m a huge club soda drinker and I’d probably opt for an awesome mac & cheese. I like to read about other’s business stories, but in general, I don’t read anything too thought provoking before bed (not good for shutting the brain off and getting to sleep). In both business and personal, I would say it is my father. I’ve been an avid observer (and at times player) of his numerous successes in business and experienced how he has raised a cohesive and highly functioning family within an almost 40 year marriage. I’ve been focused on getting healthy and using workouts to help try to establish some semblance of a work/life balance. Lately, I’ve been into Crossfit, spinning at Flywheel and a little bit of yoga. I’d like to offer something insightful, but outside of a myriad of complicated world and domestic politics, nothing stood out for me this week. Sleep issues are increasing issue that many of us struggle with. While there is no perfect sleep aid, we do feel that we offer a very helpful alternative for those looking for a natural, yet efficacious, rest and relaxation solution. We’ve been in development on various different delivery methods for our SleepStat Natural Blend and expect to have 1 or 2 come to market in 2015. A forward thinker with strong leadership skills, David has brought an innovative product to market that helps the over 70 million people around the country get some much needed rest and relaxation. 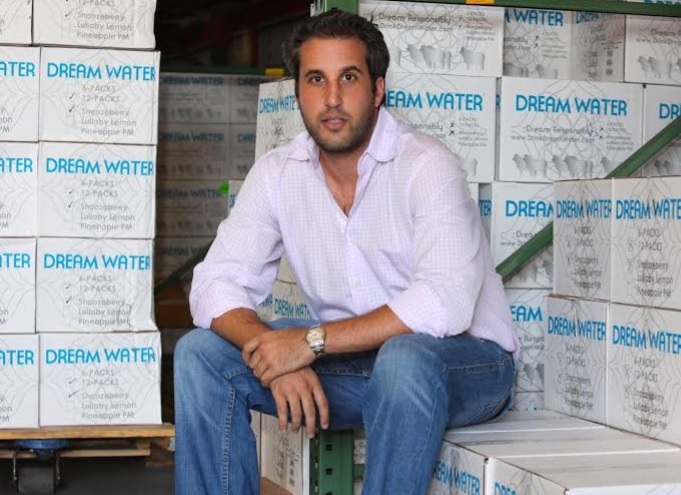 David and his partners launched Dream Water in December 2009 with Duane Reade stores in New York. In this brief time, David has structured key distribution partnerships with some of the largest retailers and distributors in the country placing Dream Water on the shelves in over 30,000 stores nationwide, including Walgreens, CVS, Walmart, Target, Kroger, Safeway and in approximately 100 airports across the country. As a result, Dream Water is positioned to become a dominant brand in the rest and relaxation space. Prior to launching Dream Products, David worked briefly as an investment banker. Before that, David served as the managing partner in a small Miami-based law firm, handling a variety of legal and business development focused consulting projects. Those projects included the structuring and general oversight of international real estate ventures worth more than $50 million and numerous consumer goods opportunities, ranging from licensing to product development engagements. David holds a Bachelors in Business Administration degree from the University of Michigan and both a JD and MBA from the University of Miami. He is admitted to practice law in the state of Florida. Dream Products, LLC is the holding company for Dream Water®, an all-natural, zero calorie sleep enhancer, and the first water of its kind that helps one relax and fall asleep. Dream Products’ mission is to produce great-tasting and effective sleep and relaxation products that will help lead to a good night’s rest. Founded in 2009, the Company is led by a management team of young entrepreneurs, matched with a seasoned group of advisors from the consumer goods and retailing sectors. As always, the Company reminds you to Dream Responsibly™.